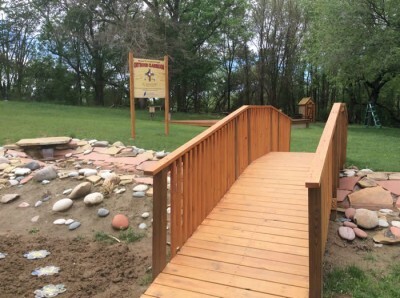 The Nature Explore Classroom at the St. Augustine Indian Mission provides a unique and creative learning opportunity for students. Located within the rolling hills of the northeast corner of Nebraska, this school has served the Native American people of the Winnebago and Omaha Tribes since 1909. This beautiful and open classroom was designed by a Landscape Architect and Educator team from Dimensions in partnership with the St. Augustine Indian Mission team. The Fire Space and Sacred Plants areas were unique designs to the classroom. Each area is identified with a wooden sign that states the name of the area in English and in the Native Ho-Chunk Language. Elements in the classroom were all designed with low maintenance and student use in mind. Separated by low plants, each area needed for certification was developed with products from the Nature Explore Outdoor Classroom Natural Products Guide. Reclaimed materials from the wooded space were also used to build additional furniture and equipment. The main focus of the project has been to incorporate the natural beauty of the outdoors into the classroom space. Plants were selected from native Nebraska perennials as well as traditional plants known to the Winnebago and Omaha Tribal People. Parents have been involved with locating and planting these traditional Native American plants. Excess trees and deadfall were repurposed in the space to allow for clearly defining areas, trails, and sight lines. 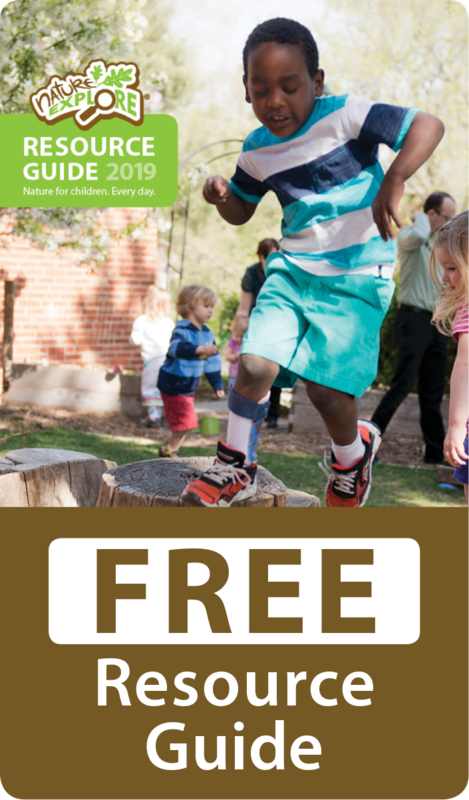 Children and parents were involved in designing all the areas, building trails from reclaimed tree rails and wood chips, and gathering natural prairie materials. They also help with ongoing assistance and with the after school Nature Club program. The school newsletter encourages family involvement on a weekly basis.